The Giving Tree, by Shel Silverstein, is a book telling the story of love between a tree and a boy. The Giving Tree was first published in 1964 by Harper and Row. It was written and illustrated by Shel Silverstein. The book has since been translated in 30 or more different languages. It is a children’s book that tells the story about a tree and a young boy. The tree gives the boy everything that he desires, but as the boy ages, he has increasingly bigger requests of the tree. At the end of his youth, the boy asks the tree for the biggest sacrifice yet, and the tree obliges, allowing the boy to cut it down in order to build a boat. When the boy is an old man he returns to the tree. Although the tree has nothing left to give him, the boy simply asks for a place to sit and to rest, which the tree happily provides. 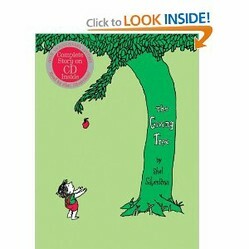 The relationship between The Giving Tree and the boy can be viewed as similar to that of a parent and a child. The tree gives to the boy everything that it can, because it loves him and wants him to be happy. When he returns as an old man, it appears that he finally understands the love that the tree has for him, as he has nothing to ask of it beyond a place to rest. However, the meaning of the book is never made fully clear, and because of this, the book can be interpreted in a variety of different ways. The author also wrote a song with similar content to the book. Both have been released as a set in the 40th Anniversary Edition of the book, which comes with a CD of the song. The book is 64 pages in length and fully illustrated throughout. It is aimed for children one year old and above. It is also something that parents can read with their children. The Giving Tree story is a story of love that parents can read to explain to children how they love them and how the child, like the boy in the story, will come to understand this love in time. 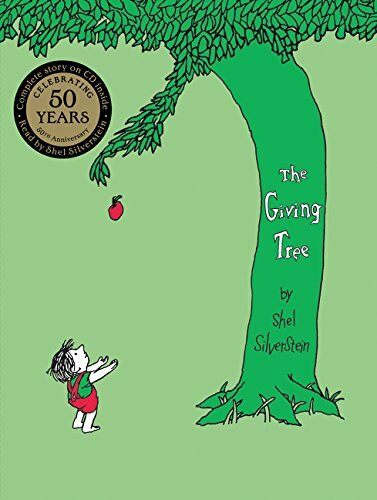 The Giving Tree is one of many children’s books which Shel Silverstein has written throughout his lifetime. His first book was published in 1963, one year before The Giving Tree was published. A (comparatively) more recent book that he has produced is A Light in the Attic. Unlike The Giving Tree, this is not a story, but rather a collection of drawings and poems. This was first published in 1981 and is aimed at children. Another classic children’s book, by a different author, is Where the Wild Things Are, by Maurice Sendak. This book follows a young boy named Max in his adventure through a forest that grows within his room. It is a fantastic and amusing journey for children and their parents. All of these books provide excellent gifts to loved ones, and are good to read aloud with children. The illustrations make these interesting to read, and hold the attention of young readers. Thank you for a great review of what I believe to be one of the greatest love stories ever. Thanks, SWequipment. This is definitely a moving story. Shel Silverstein has always been one of my favorite authors! It is a great story about selfish and unselfish love, and it is a bit sad how the tree keeps on giving, until there is nothing left to give. Thanks for your comment, Kingnet!